“Open your bibles, what does it say: ‘In the beginning God…’ Stop there. Now, who is this book all about? You? No.” In our busy lives on the ship working in AV with programs one after the other sometimes we forget the simplest things. Life is not all about ourselves and what we can get out of it – we didn’t come to the ship to work, that is what we left behind. No, we came to worship – worship with our hands and our heads, with the skills he has given us and with the strength he provides. Ian Currey from OmniVision came to the ship for a week to spend some time with the AV team training us in the how, what, when and (most importantly) why of AV. Since we have extended our stay in Sri Lanka but we have no events to run – we have been blessed with the time to sit at the feet of someone more experienced and learn some of the things we can’t learn on the job. Thinking about what Ian said in the training, I noticed that I often look at what I do on a day-to-day business as work, not worship. I am using my own strength to complete the tasks before me and operating as I would in my job at home. Once I was asked to do something over lunch time and I was quite upset that I would miss lunch with my friends. While it’s good to have boundaries and not always say yes – it seems clear to me now that I am not always making my service on board an act of worship to God. Next year I would really like to go to Omnivision in the U.K. for two or more years. 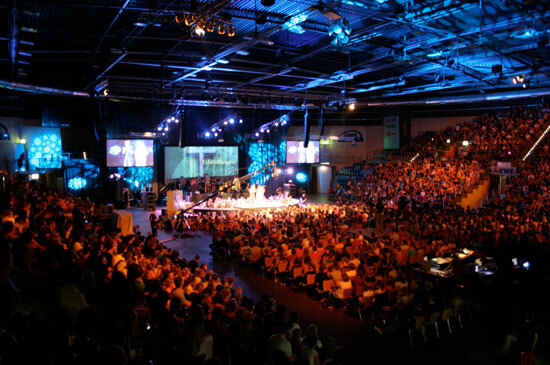 I would be a part of AV for huge Christian events in Europe and creating videos promoting the work that OM does around the world.